To artworld observers, the notion that the Detroit Institute of Arts (DIA) could be forced, if the city declares bankruptcy, to relinquish its greatest masterpieces to satisfy Detroit’s creditors is inconceivable. But the “inconceivable” is beginning to look possible: With the city’s bankruptcy now looming as a real possibility, liquidating the museum’s rich artistic assets, which are owned by the city, could be the easiest way for the city to raise quick cash for a bankruptcy settlement without disrupting other operations of this compromised metropolis. 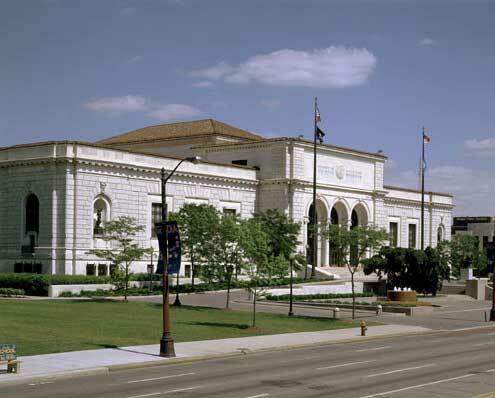 The DIA strongly believes that the museum and the City hold the museum’s art collection in trust for the public. The DIA manages and cares for that collection according to exacting standards required by the public trust, our profession and the Operating Agreement with the City. According to those standards, the City cannot sell art to generate funds for any purpose other than to enhance the collection. We remain confident that the City and the emergency financial manager will continue to support the museum in its compliance with those standards, and together we will continue to preserve and protect the cultural heritage of Detroit. That “confidence,” if it really exists, may be misplaced. The argument that a quick financial fix involving collection liquidation would violate the public trust, museums’ professional standards and DIA’s operating agreement with the city would likely be of little or no consequence to creditors for whom cash, not Caravaggio, is king. Nor would they care that selling the art would be a breach of faith with area taxpayers, who recently demonstrated their support for a stronger, not eviscerated, DIA by passing a millage (essentially a property tax) to provide sorely needed operating support for this chronically underfunded museum. Over the years, the DIA lost all the substantial financial support that it used to depend upon from the State of Michigan and the City of Detroit, which nevertheless still owns the museum’s building, property and collection. Even the DIA’s director, Graham Beal, in a live web chat after the passage of the millage, acknowledged that while under the current operating agreement, “the DIA has total discretion over” the collection, “things get legally cloudy” in the event of a bankruptcy. If the city files for Chapter 9 municipal bankruptcy, [city emergency manager Kevyn] Orr would have authority to cancel contracts. Since the operating agreement [with the DIA] is a city contract, Orr could cancel that and use money raised from art sales for other purposes, such as to pay down debt or fund city pensions and health benefits. Orr has not yet decided whether to sell art, though a final decision is expected within weeks. The possibility that the DIA might be forced to liquidate treasures by van Gogh, Matisse, Bruegel or other masterpieces under its care has sent shock waves of disbelief among the museum’s supporters and the wider art world. Art collections are vitally important cultural and educational resources that should never be treated as disposable assets to be liquidated, even in times of economic distress. Those involved in the discussion of the financial challenges that Detroit faces today must make thoughtful decisions that will serve to strengthen the city in the future. Selling the collection of the Detroit Institute of Arts would undermine this goal. Might a transfer of the collection’s ownership from the city to the museum, in advance of any bankruptcy declaration by Detroit, be a possibility? Is there any chance of obtaining an ironclad commitment from the city to find other means to satisfy its creditors? One thing’s for certain: Unloading the treasures painstakingly collected, preserved and exhibited to enrich the lives and souls of this hard-pressed community would compound Detroit’s financial bankruptcy (if it occurs) with cultural and spiritual bankruptcy. It would be one more impediment to resurgence.